There are several types and grades of thermocouple extension wire and at TPC we give you a wide variety to choose from. 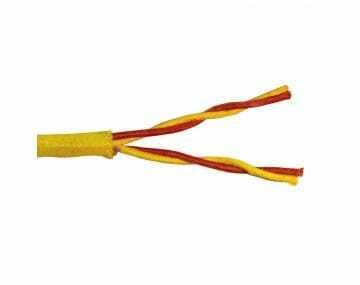 Thermocouple extension wire is used for extending the connection from the thermocouple probe to the instrumentation control system. Its length requirements make this type of thermocouple extension wire economical for many industries. Thermo-Trex® Thermocouple Extension Cables are available in a wide range of constructions and configurations. The product designs offer protection to temperatures ranging from 90°C up to 530°C depending upon the jacket and insulation system selected. We are confident that your TPC sales representative can find the right thermocouple extension wire to meet your needs. Please click the image of a product to begin viewing our selection of thermocouple extension wires.